Ole Gunnar Solskjaer’s unbeaten run as Manchester United came to an end in juddering fashion in their Champions League last-16 tie against Paris Saint-Germain, as the French champions overcame the absence of both Neymar and Edinson Cavani to run out 2-0 winners in the first leg at Old Trafford. United started the game at pace, but struggled to find a way past the PSG block and lost both Jesse Lingard and Anthony Martial to injury late in the first half. The visitors took complete control after the break, with Presnel Kimpembe volleying them into the lead before Kylian Mbappe deflected an Angel Di Maria cross past David de Gea with half an hour remaining. United rarely looked like getting back into the game, with Paul Pogba’s late dismissal leaving them an almost impossible task when they go to Paris for the return leg. Ole Gunnar Solskjaer set Manchester United up in a 4-3-3 attacking structure, with Jesse Lingard moving in from his starting position wide on the right to take up central positions between Paris Saint-Germain’s double pivot of Marquinhos and Marco Verratti. Paul Pogba and Ander Herrera moved either side of the central midfield duo, aiming to increase the central space for Lingard to link midfield and attack. With Lingard moving inside, attacking width was provided by Ashley Young on the right and Anthony Martial on the left. 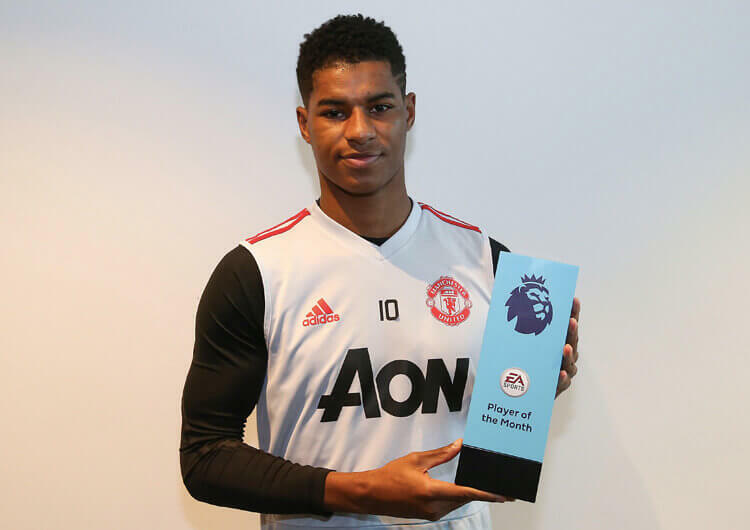 Young was unable to move forward consistently, however, and despite Marcus Rashford dropping short to link the play on that side, he couldn’t always find Lingard in his new role. Pogba made brief cameos on the right, which gave Rashford a viable passing option and helped United penetrate in behind, but even with the Frechman’s craft on the ball the hosts lacked a central target man to attack any crosses. As PSG settled into a more patient attacking approach, United saw less of the ball. 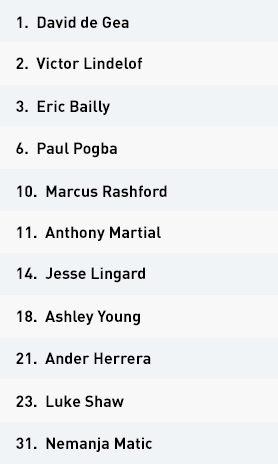 Injuries to both Lingard and Martial further restricted the hosts, with the loss of the former’s fluid movements to create space for others a particular blow. Replacements Juan Mata and Alexis Sanchez struggled to make an impact and, although full-backs Young and Luke Shaw pushed higher, they lacked the quality and support to work the ball through the PSG block. Even when Mata and Young rotated to work the ball into crossing positions on the right, the hosts still lacked a central threat. Conceding two quickfire goals early in the second half killed off any United momentum, as PSG congested the central lane and dealt comfortably with the hosts’ wide play in the final third – even with the late introduction of Romelu Lukaku. 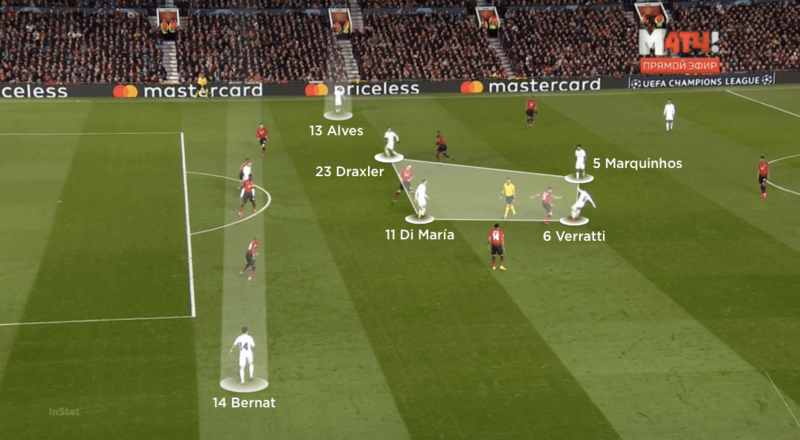 Out of possession, United dropped into a 4-1-4-1 mid-block, with their full-backs often unsure of whether to track the dropping inside runs of Angel Di Maria and Julian Draxler or follow the wide movements of Dani Alves and Juan Bernat. 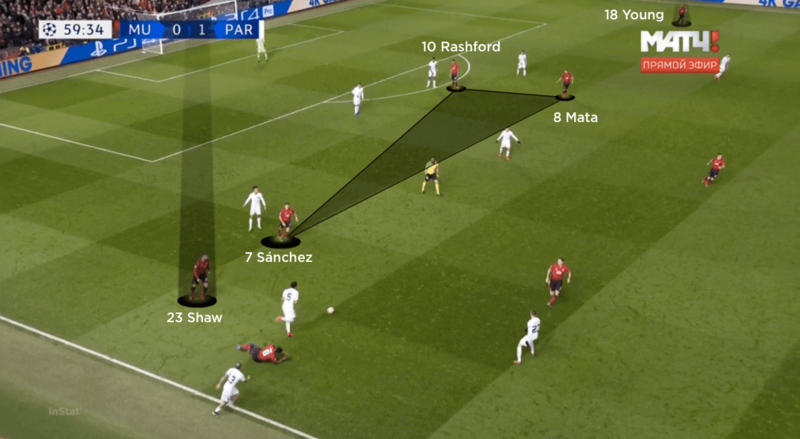 As the game progressed, Young and Shaw dropped deeper to remain more connected to their back line. This nullified the threat of Alves and Bernat in the final third, but allowed PSG to focus on penetrating through the central lane. The visitors looked to overload United four-on-three in the middle, with splitting diagonal passes from both Verratti and Marquinhos playing in Di Maria and Draxler, who could receive facing forward and connect with the dangerous Kylian Mbappe. As United started to push their full-backs on in the second half, they became more open and exposed to quicker transitional play from PSG. 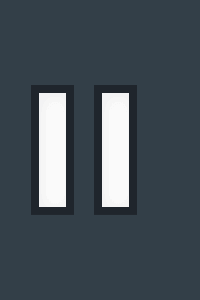 Having conceded the first from a routine corner, the hosts fell prey to a swift transition for the second – Di Maria moved out wide on the left and took advantage of Young’s higher starting position to square for Mbappe to finish. 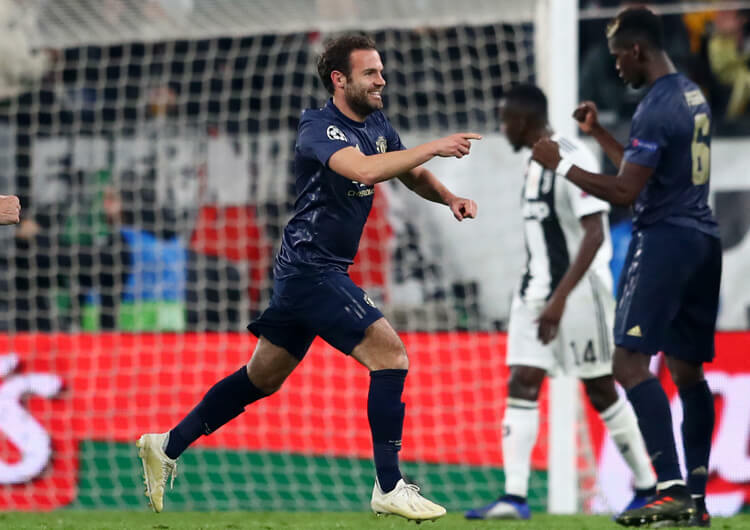 United regrouped defensively, but PSG seemed happy with their night’s work – and the late dismissal of Pogba makes their task look almost impossible in the second leg. When Manchester United had possession, Jesse Lingard’s roaming into central positions helped push Ashley Young forward from right-back. This eventually led to Paul Pogba moving across to receive behind PSG’s double pivot and in the space Lingard vacated. 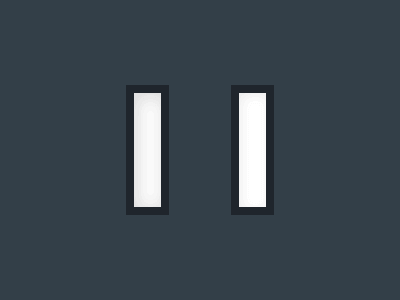 The hosts dropped into a 4-1-4-1 mid-block out of possession, but both full-backs struggled over whether to track the overlapping runs of Dani Alves and Juan Bernat, or step inside to deal with Angel Di Maria and Julian Draxler. With Alexis Sanchez and Juan Mata on in the second half, Young and Luke Shaw had to provide attacking width. From here, they were vulnerable when the ball was lost, with PSG identifying the vacated spaces in behind.  PSG set up in a 3-4-2-1 in possession, and made use of their four-on-three overload in central areas, as the hosts blocked access into Alves and Bernat in wide areas. Their central play also brought Kylian Mbappe – specifically his runs in behind – more into play. 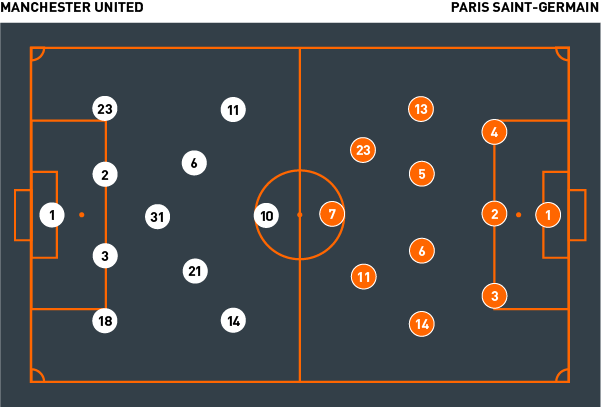 The visitors mainly used a 4-2-3-1 mid-block when defending, but converted into a 4-2-2-2 on occasion. 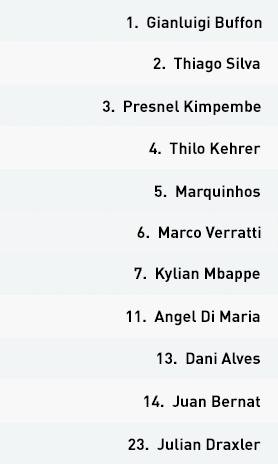 Draxler moved up to support Mbappe, with Alves and Di Maria stepping much higher than the double pivot of Marco Verratti and Marquinhos. 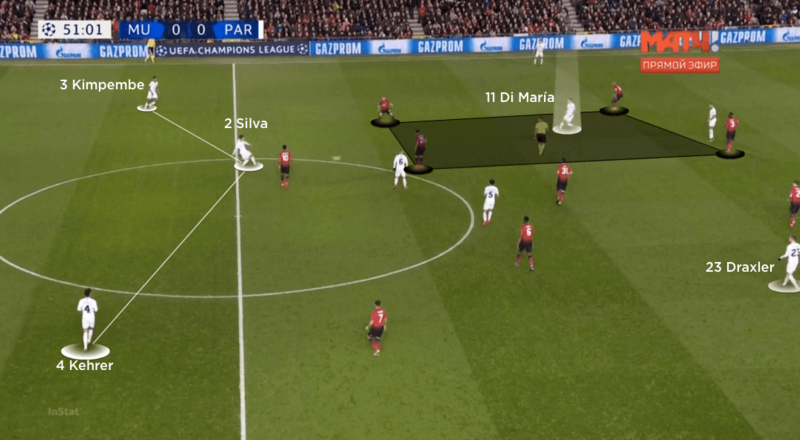 The higher positioning of Di Maria and Draxler meant they could receive behind the United midfield, as PSG’s back line – in this case Thiago Silva – provided splitting forward passes rather than the now-marked double pivot. Thomas Tuchel set PSG up in a 3-4-2-1 structure on the ball, with Juan Bernat stepping out of the back line to provide attacking width on the left. Dani Alves was already a part of the midfield unit when defending, so his role was to maintain width from the right, allowing Julian Draxler to move into the inside channels. The visitors’ positional strength against the hosts’ 4-1-4-1 mid-block came via the inside positioning of Di Maria and Draxler. The duo occupied the spaces just around and behind United’s central midfield trio, with the hosts’ full-backs prioritising the wide movements of Bernat and Alves. Patient possession and disguised forward passing from the double pivot of Marco Verratti and Marquinhos then made use of their central overload. With Nemanja Matic preoccupied with blocking off Kylian Mbappe, United’s central midfield was left to deal with Verratti and Marquinhos, who superbly split central lines to find Draxler and Di Maria. Once central penetration was achieved, Mbappe was free to spin in behind – with this, his influence in the game naturally grew. The visitors’ tempo often slowed in the first half, however, particularly if Bernat sat deeper on the left. They occasionally looked to attack quickly if they thought Mbappe had large spaces to exploit, when Di Maria would try to make supporting runs – but the duo had trouble connecting as the first half ended goalless. In the second half, the higher positioning of both Di Maria and Draxler proved problematic for the hosts. United’s central midfield couldn’t mark the duo, so resorted to aggressively screening passes from Verratti and Marquinhos. With only Marcus Rashford up top to cover the back three, they were able to bring the ball forward and find passing lanes through to Di Maria and Draxler. Having taken the lead through a Presnel Kimpembe volley from an attacking corner, the visitors moved quickly to take advantage of United pushing their full-backs higher in response. Di Maria found space to get in behind the advanced Young and centre for Mbappe, who had timed his run in behind superbly, to finish. The French striker remained a threat on the transition for the rest of the game, forcing David de Gea into one superb save before the end. 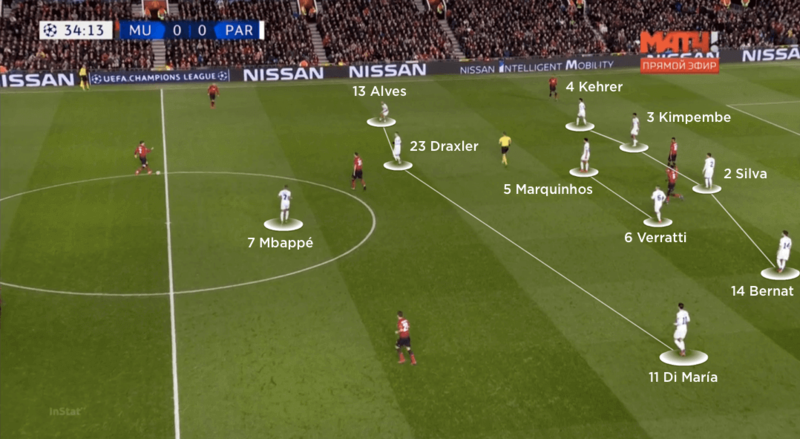 Without the ball, PSG dropped into a 4-2-3-1 formation that sometimes resembled a 4-2-2-2, with Draxler supporting Mbappe on the top line, and Dani Alves and Di Maria playing in front of Verratti and Marquinhos. Bernat would leave the midfield unit and move into left-back in a back four. The visitors looked comfortable against United’s crosses from wide areas, with Thiago Silva a typically strong presence in the centre. 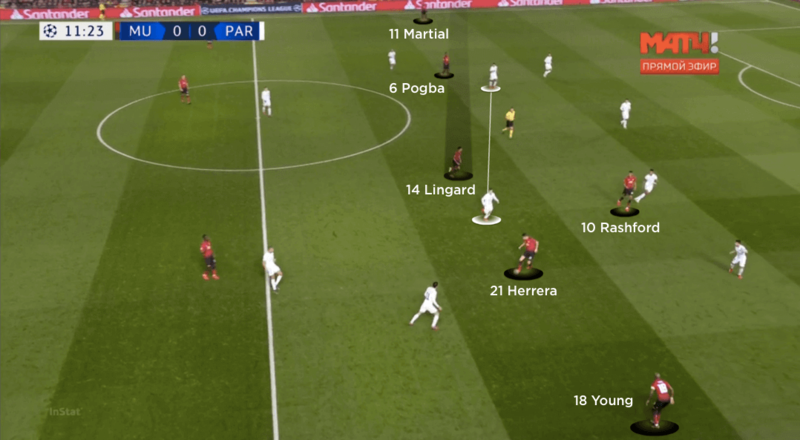 Only when Paul Pogba made diagonal runs from left to right, and into the spaces vacated by Jesse Lingard, did the French champions look vulnerable in the space between Bernat and Presnel Kimpembe. The former’s dropping deeper reduced PSG’s attacking width, but the defensive benefits were worth it as Pogba’s influence in these areas came to an immediate halt. 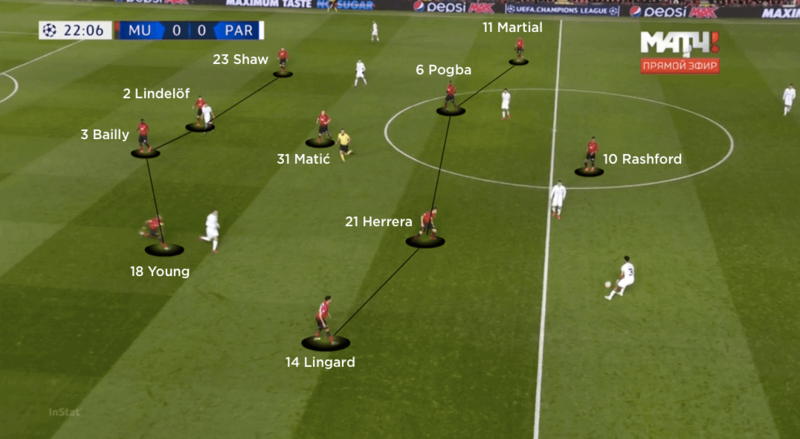 After grabbing two second-half goals, PSG attempted to kill the game with sustained spells of possession and then dropping into a centrally compact mid-block when United won it back. They forced the hosts into wide areas, encouraging their full-backs to continue moving forward. 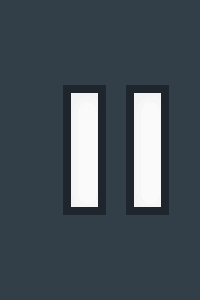 This not only stifled United’s attack, but also opened up quick transitions for Mbappe to try and grab a tie-killing third.